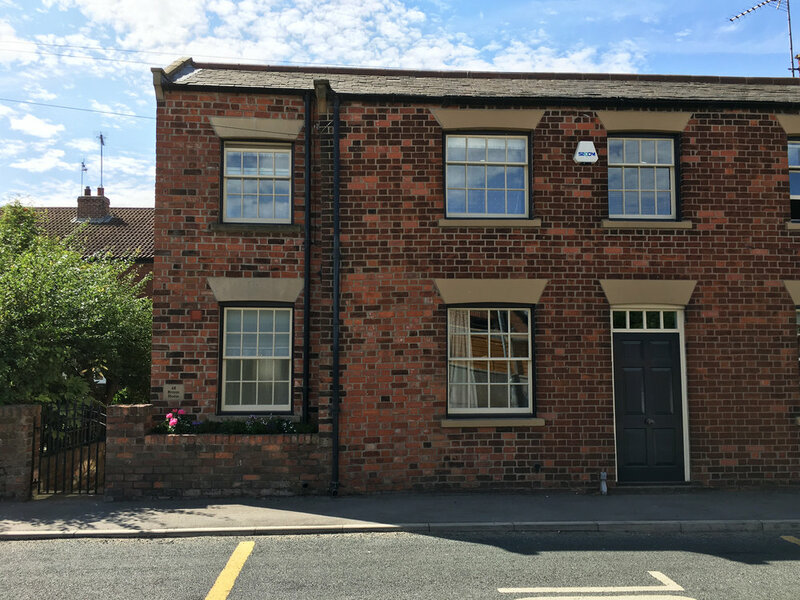 This period village property was extensively redesigned in order to alter the orientation of the house to create an elegant front elevation facing Brandesburton village cross. The previous out of character mono pitched dining room extension to the side was extended upwards and re-clad in reclaimed facing brickwork, and the property was extended sideways to create a downstairs cloakroom/WC and side entrance lobby. The whole interior of the property was remodelled, firstly to replace the existing steep winding staircase with a spacious individually designed staircase and entrance hall, thereby improving circulation to all other interior spaces. The first floor circulation space was improved to increase the floor area of bedroom 1, and create a self contained guest bedroom 2 with its own en-suite shower room and dressing area.